Apple, on Monday, announced the launch of 3G iPhone in the Worldwide developers conference (WWDC) 2008. 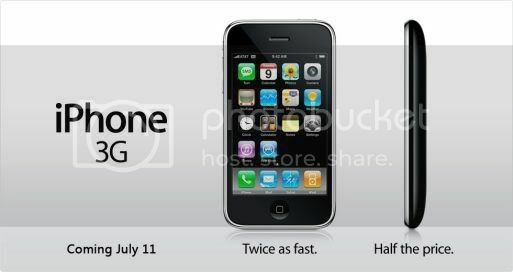 The 3G version of the iPhone was a much awaited release and internet was flooded with fake 3G iPhone images. 3G-With 3G technology, you can browse internet & emails on the phone. This service is network dependant. 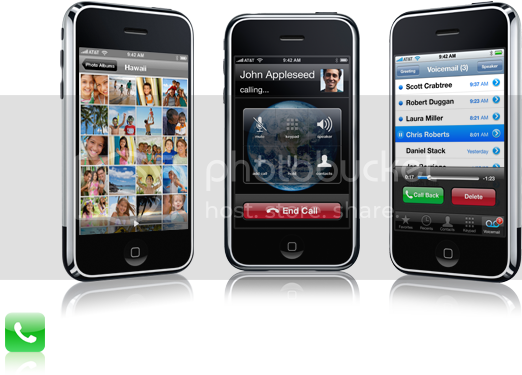 iPhone 3G supports UMTS, HSDPA, GSM, Wi-Fi, EDGE, GPS, and Bluetooth 2.0. GPS-You can find locations, check maps & traffic on your 3G iPhone. Microsoft Exchange-The 3G iPhone supports Microsoft Exchange ActiveSync for emails in corporates. You get these features- Push email, Push contacts, Push calendar, Global Address List (GAL) support, Certificates and identities, WPA2/802.1X, Enforced security policies, More VPN protocols, Device configuration & Remote wipe. 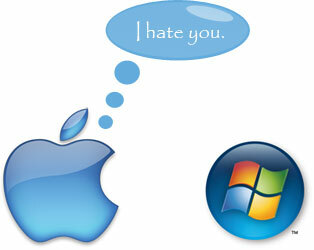 Microsoft technology in Apple device? Strange! App Store-Here you can find many applications & games which fully utilise the 3G iPhone’s capabilities. India Availability-The 3G iPhone will be launched in India by Vodafone & Airtel cellular services. The Apple iPhone is currently out of stock in it’s online store in U.S. & U.K. The Apple Store shows both the 8 G.B. & 16 G.B. versions of the device as ‘Currently Unvailable’. Rumours are that Apple might be releasing the next generation of iPhone soon & that can, most probably, be the reason behind unavailability of the device. The next generation of iPhone is rumoured to be released in June, this year & the device will be released in partnership with Airtel & Vodafone in India later this year. Apple Inc. has issued a security update for its web browser Safari which it claims has fixed the flaw in the web browser which helped security researchers win a MacBook Air by hacking it in a contest named PWN 2 OWN in flat 2 minutes. 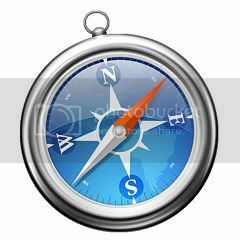 The exploited flaw was in the WebKit, the rendering engine of Apple Safari which makes both Mac & Windows versions of Safari vulnerable to attacks. Safari users must install the update released by Apple Inc. to fix the security flaws which could be exploited to gain access to users’ computer. The update fixes the vulnerablities in both Mac & Windows version of Safari. Description: A memory corruption issue exists in Safari’s file downloading. By enticing a user to download a file with a maliciously crafted name, an attacker may cause an unexpected application termination or arbitrary code execution. Apple iPhone to hit India this year! Yes! That’s right. You need not buy iPhone illegaly anymore. Apple is expected to launch iPhone in September 2008 as per Business Standard report, in India. It’ll be available with vodafone, one of the biggest private telecom operator in India. The iPhone 8 G.B. & 16 G.B. version is available in Indian grey market for approximate Rs. 21000-23000 & Rs. 27000-28000 respectively. The legal one will cost you about Rs. 28000 for the 8 G.B. version & 16 G.B. version will be launched in 2009 according to Business Standard. 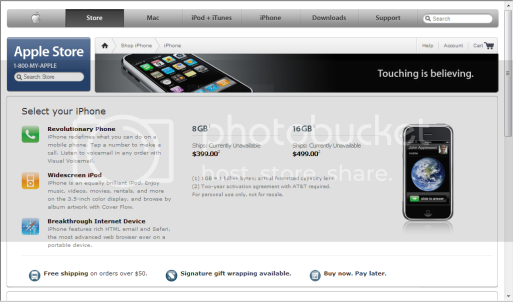 As per the report there is a possibility of legally unlocked iPhone being made available. In my opinion it’s priced way too costly & people will still prefer the current 16 G.B. version or the soon to be launched iPhone 2 from the grey market. The Cupertino, California-based company, according to Apple retail sources, said initially the 8 GB version of the much-hyped touchscreen device — which combines Wi-Fi capabilities with a powerful email client, TV feeds, online music store and map-based location guide — will be launched at a price ranging between Rs 27,200 and Rs 28,000.